Disclosure: This post is sponsored by KC Masterpiece and DataRank; all opinions and recipes are my own. I am so excited about summer. After a very long New England winter, we are thrilled about warmer weather and everything that comes with it. Part of nice weather comes grilling – lots of it! We grill all kinds of stuff, from meats to veggies to pizza. My husband is a meat-eater, and the kids and I are vegetarian, so we do a lot of creative grilling. I love our time spent outside, food on the grill, kids running around in the backyard. And even better is grilling out with good friends. This is a recipe that you can do with both meat and tofu. Although the kids and I are vegetarian, we don’t actually eat much tofu. However, I remembered years ago how much my daughter enjoyed tofu satay, so I used that as an inspiration to make the tofu counterpart to my husband’s ribs. 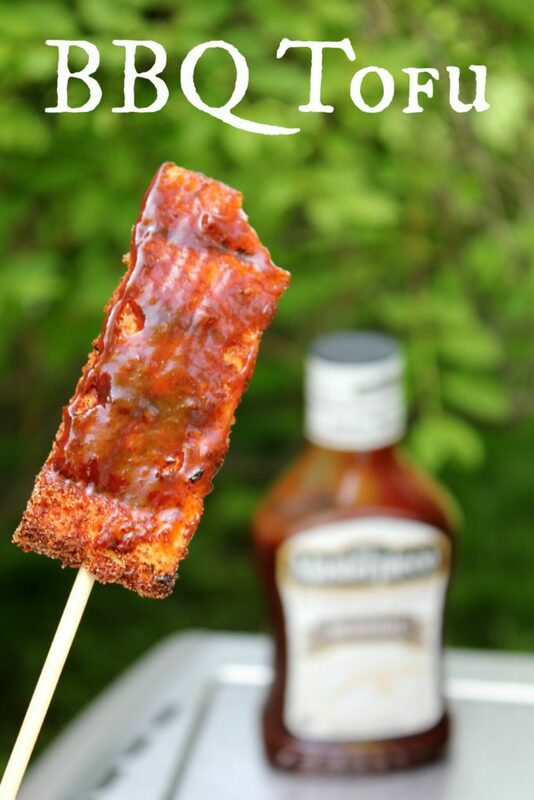 This barbecue tofu recipe is extremely simple to prepare. I would recommend that you freeze or press your tofu ahead of time. 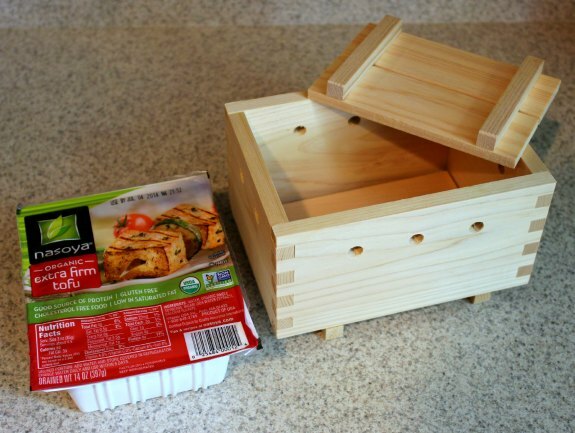 You can use a tofu press or any other way to press the tofu to get out as much liquid as possible before cooking. Freezing is another method you can use, which changes the texture and makes the tofu chewier. If you freeze it, you need to drain the liquid, freeze, and then thaw before cooking. Even though the tofu is firm, it helps to get the liquid out and make it both hold together and cook more quickly. However, I was in a rush to cook my barbeque tofu and did not press the tofu. Although it would have been easier to cook with if it were pressed and firmer, it is doable if you don’t have time to press it! Slice the tofu however you like. I did little “planks”, since I was planning on having the kids eat their tofu off a stick and the longer pieces wouldn’t fall through the grill. You can do thinner strips, blocks, whatever you like. You could cook this like a kabob, even with veggies, or alone. I would recommend cutting larger or thicker pieces if you have not pressed your tofu (as the tofu will be soft and you don’t want to risk breaking it). Next, create your seasoning mix. Although I have amounts listed above, you can change the ratios as much as you like. The first time I made this, my kids thought it was a little spicy, so I adjusted the recipe to have less pepper. 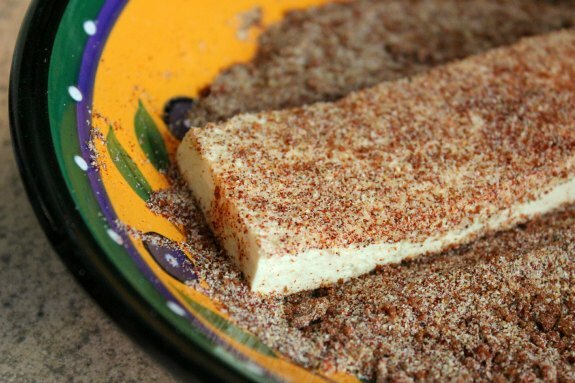 Roll and coat your tofu with the mix. Grill the tofu on a medium heat. You can tell when it is cooked as it will become firmer and you’ll see grill marks start to form, and you can cook to your desired consistency. This is also a recipe that you can do indoors all year round, by simply frying the tofu in a pan. On the grill, I carefully flipped the tofu planks periodically, and it was ready in under 30 minutes. 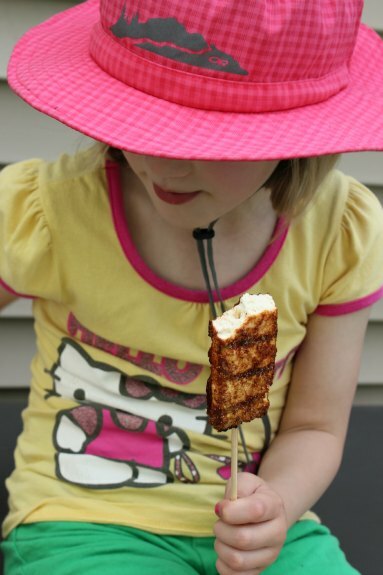 Next, I placed the tofu on a stick since I wanted to make it easy for the kids to eat. The idea of food on a stick is somehow extra appealing to the kids! 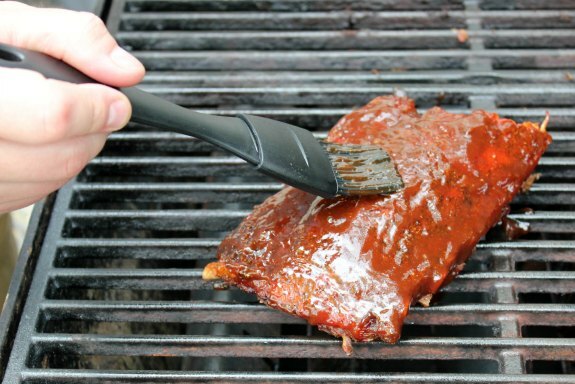 Then, brush with BBQ Sauce. 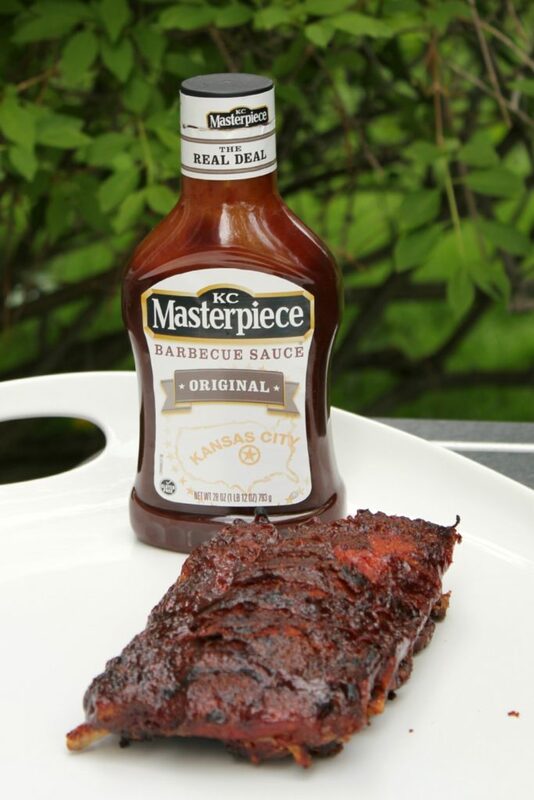 I used KC Masterpiece Original, which is kid-approved in our household. The kids kept sneaking their fingers in the BBQ sauce as I was trying to prepare the tofu! And there you have it, an easy-to-eat tofu for the kids, or anyone else for that matter! 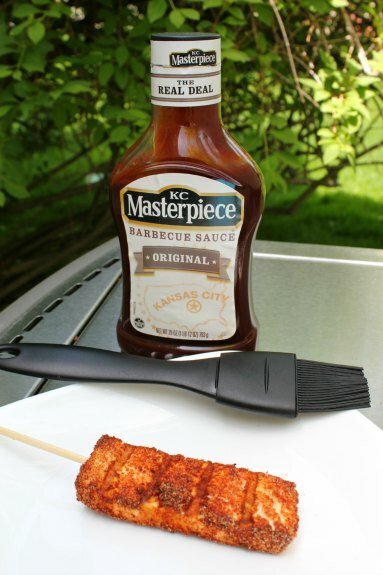 This BBQ Tofu has a nice mix of flavors and textures – the spice coating is more crispy and savory, while the KC Masterpiece BBQ sauce has a rich, sweet flavor. The consistency of the tofu becomes rich and firm. The whole family enjoyed this, especially my daughter who loved the tofu, eating four large pieces (which was most of the box) – and if I didn’t run out, I’m sure she would have eaten more! She thought this was a fun food since it was served on a stick, and she really liked the BBQ sauce. This is a really easy recipe and a fun addition to a barbeque, especially if you want to serve a meatless dish. Because we served this tofu on a stick, there was no mess! Since the tofu recipe is the same recipe my husband uses to cook ribs, I am sharing that recipe too. The only difference is that you need to cook the meat significantly longer. 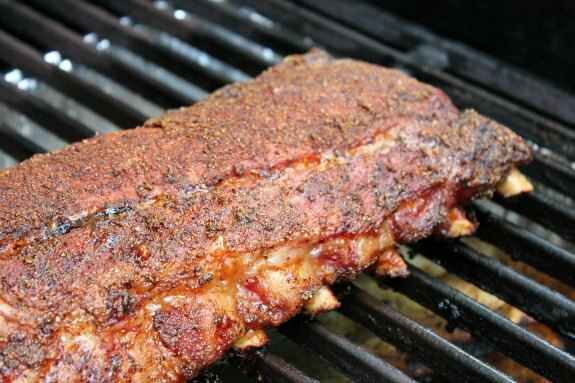 Simply coat the ribs in your spice mixture (just increase the amounts to cover your ribs), and grill for about 4 hours at about 275 degrees F.
Once the ribs are done, brush with BBQ sauce. I have been wanting to try tofu because it is so healthy. 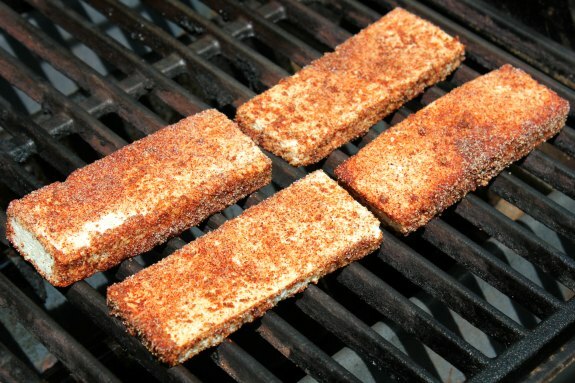 I never thought about grilling tofu, but I am going to give it a try. Thanks for sharing. Tofu and I don’t get along but this does look tasty. I am sure it takes on so many great flavors. I love Tofu and I have this favorite rice bowl with Tofu. But I have never tried it prepared like this. We love grilling in the summer so I will have to try this. Looks good! This is interesting but only because I’ve never done it myself. We have firm tofu already in our pantry and I’d love to make this for my family. 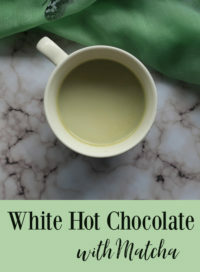 Yummy recipe and great addition to our weekly meal plan.